Do you have a story about your time in the Earth and space sciences that you’d like to share as part of our Centennial celebration? Well, we want to hear it! 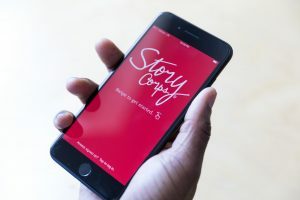 Using the StoryCorps app, you can record an interview on your phone and share it with the world. As part of AGU Narratives, the StoryCorps app gives us the opportunity to share our collective history through personal accounts. Throughout the Centennial, AGU will be collecting personal narratives and sharing them across AGU channels. By creating this catalog of Earth and space science history, we will reflect on the past and where we want to go as we move into the next century. Take part in AGU Narratives by sharing your story through the StoryCorps app. Anyone in our community is welcome to share their story. We look forward to hearing all about your experiences!